The ultimate gateway to a new career as a Pilates Teacher. There is no need to invest thousands of dollars just to learn more about what you love. With our workshops you will be equipped to improve your own practise. If you would like to take your passion further this course will prepare you to teach in a supervised classes setting. Sway Bar's technique workshops and pre-teacher training programs will allow you to gain the knowledge and experience to be one step ahead when you begin an accredited teacher traiing program of your choice. Whether you are interested in becoming a teacher or would simply like to learn more about your body and the Pilates method, the Sway Bar Technique and Pre-Teacher Training program is the ultimate solution. 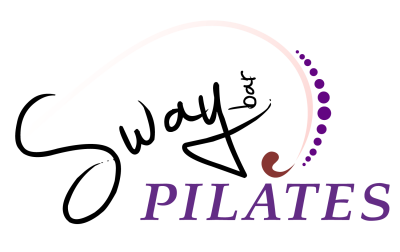 By the end of this course you will not only understand more about your body, you will be able to choregoraph Pilates mat classes and understand how to flow and transition between exercises. This course is delivered in a practical and face to face workshop setting. You will receive hands on training, personalised attention, corrections and indiviual coaching. All training participants recieve a 15% discount on unlimited class packs during the training period. Course includes Pilates text book and digital material for students to print. All training participants receive a ​15% discount on any unlimited class pack during the 12 week term.